Little bluestem is beautiful all year although by this time every winter, many of the seeds are gone. Happy new year! Since the weather turned cold, I have been too busy with winter pruning to post here. 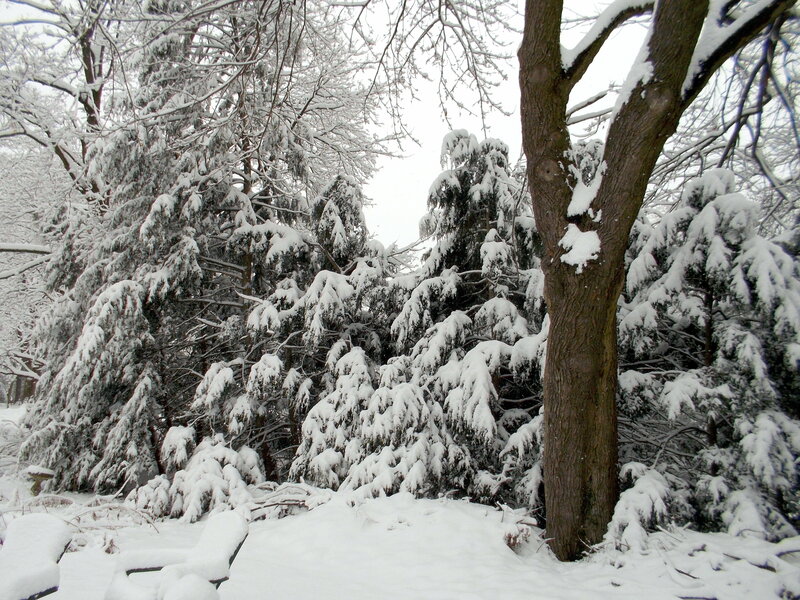 Now that it’s finally cold and looks to stay that way for a while, get out those clippers and saws and loppers and get to work on your shrubs. Most shrubs need some reduction in size after they’ve been in place for a while, and now’s the best time to do it. In addition to pruning, it’s time to make New Year’s resolutions, and perhaps to put some of them in place as you plan next season’s garden. Garden catalogs are arriving–as you enjoy all those gorgeous pictures, think beyond beauty to a plant’s role in the vital ecosystem you can create right in your own backyard. Catkins–in this case, the male flowers of American hazelnut–decorate the shrubs all winter. In the spring they’ll release pollen for the tiny female flowers, and in August there will be hazelnuts for the squirrels. OK, it’s not pretty anymore. It’s just boring and annoying and frustrating and COLD, and another storm is expected on Monday. And according to the National Weather Service Climate Prediction Center, we have an above-average chance of below-average temperatures (isn’t that a great phrase?) for the next month. The sun is now so strong that even on a day when the temperature doesn’t go above the mid-twenties, the water remains liquid in the puddles. If we weren’t still buried under almost a foot of frozen snow, the snowdrops, winter aconites, and crocuses would be blooming, the daffodil foliage would be up, and I’d be thinking about sowing seeds for cool-season greens this weekend. And checking the hazelnut and spicebush shrubs for the first signs of bloom. But still, spring is bound to come, right? Have a good weekend, and stay warm.